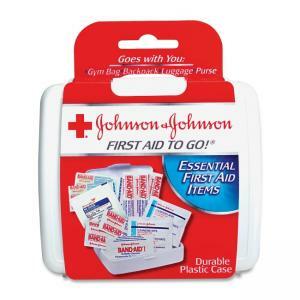 This mini first aid kit is perfect for minor first aid situations. Contains 12 first aid items to clean, treat and protect wounds in a reclosable carton. Includes eight assorted Band-Aids, two antiseptic wipes and two gauze pads. First aid kit fits in purse, glove box, golf bag or athletic bag.